Charter a private flight to Palm Springs, home to some of the best natural escapes from the busy city life of Los Angeles. Whether flying private to attend Coachella, for the mega classic rock concert Desert Trip, or for leisure at one of Palm Springs beautiful luxury resorts, we can help arrange the right aircraft and flight itinerary that best suit your trip. Los Angeles Private Jets believes in providing private flyers with a one-on-one consultative service experience that exceeds every expectation. We understand that your time, privacy, flight preferences and most of all, safety, are all extremely important. Our Palm Springs Jet Charter agents are available for you by phone and email 24 hours a day, 7 days a week. When using our private aviation service, you can expect quick response times and an easy, hassle-free booking process. Request a quote or call us to arrange your private flight to Palm Springs, California. 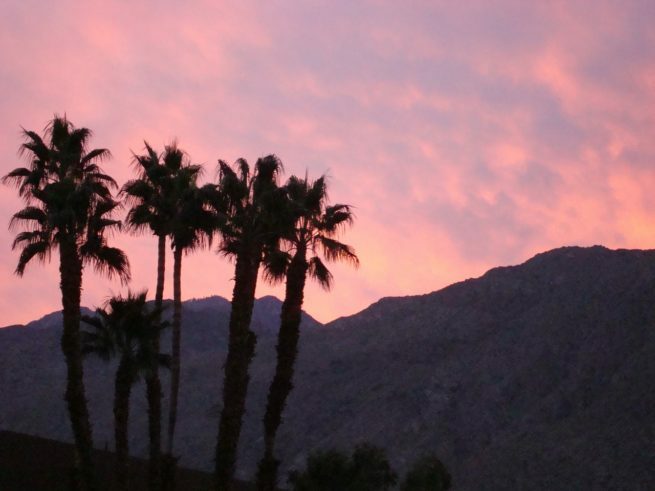 Many private flights heading to San Bernardino County are chartered with one thing in mind – unwinding at the resorts of Palm Springs, California. The Palm Springs area is home to several beautiful luxury resorts, and is home to some of best golf in the country. The Ritz-Carlton, Rancho Mirage is our top pick for our private jet clientele, offering a serene spa and indulgent fine dining with breath-taking views of the surrounding Coachella Valley. The hotel also provides convenient access to the over 100 world-class golf courses that make Palm Springs a premier golf destination. The following list of our top choices was created based on factors such as Los Angeles Private Jets passenger feedback, location, amenities and online reviews. Once you arrive in California via luxury private jet, our Palm Springs Private Jets representatives can also arrange ground transportation to/from the hotel of your choice. This stylish desert city became a hot-spot for Hollywood celebrities during the 1960s, made famous for its hot springs, luxurious spa resorts and world-class golf courses. Make sure you plan on having room for your clubs on your private jet, with incredible courses to choose from during your trip, including Desert Dunes GC, Bighorn GC, and Desert Willow Golf Resort. Palm Springs is also culturally active, hosting an International Film Festival and home to several museums, including an aviation center with WWII aircraft and more. Let us arrange your private flight to land at (PSP) Palm Springs International Airport, where transportation will be ready to take you to the resort of your choice. The Coachella Valley is located just southeast of Palm Springs, and the annual music and arts festival Coachella is an held in Indio, at the Empire Polo Club. If you interested in attending Coachella and would like to travel to the Los Angeles area via private air charter, we can fly you into (TRM) Jacqueline Cochran Regional Airport (formerly known as Desert Resorts Regional) in nearby Thermal, or at (UDD) Bermuda Dunes Airport to get you closer to the show. Call or e-mail to request a quote for your next LA-bound trip. 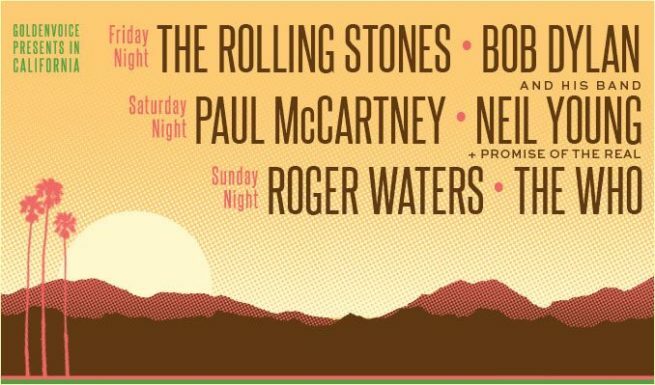 One of the most anticipated concert’s since Woodstock takes place October 7-9 in Indio, California at Desert Trip, a rock concert bringing together six of the biggest names in the history of rock n’ roll music. Paul McCartney, Bob Dylan, The Rolling Stones, Neil Young, The Who and Roger Waters will headline this three-day concert held at the Empire Polo Club, the same venue that hosts Coachella. Private aviation is expected to soar leading up to Desert Trip, and (KPSP) Palm Springs International Airport will be flooded with concert-goers. If you’re planning on attending this once in a lifetime concert, get there in style by chartering a private jet! Los Angeles Private Jets arranges private flights to/from Indio for the Desert Trip Concert this October – call or request a quote to book your private flight today! When arranging your private flight with Los Angeles Private Jets, you’ll gain access to thousands of private jets and turboprops based in your area, and across the United States. Every plane we arranging for charter flights are operated by FAR Part 135 (or foreign equivalent) air carriers. Los Angeles Private Jets utilizes the following airports to fly clients privately to/from Palm Springs and neighboring areas of Los Angeles, California. Request a Quote or give us a call at 1-888-987-5387 to speak with one of our Palm Springs Private Jets representatives for your next luxury vacation, business trip, or special event.